My dad is the best because he taught me work ethic. Of the many things I have seen my dad do in life, I have never seen him quit. Not once. It is something that has stuck with me and that work ethic is something that I try to apply in my life. Being creative day-in and day-out isn’t always easy but neither is life. And working hard has helped smooth out the rough spots. Thanks Pop! 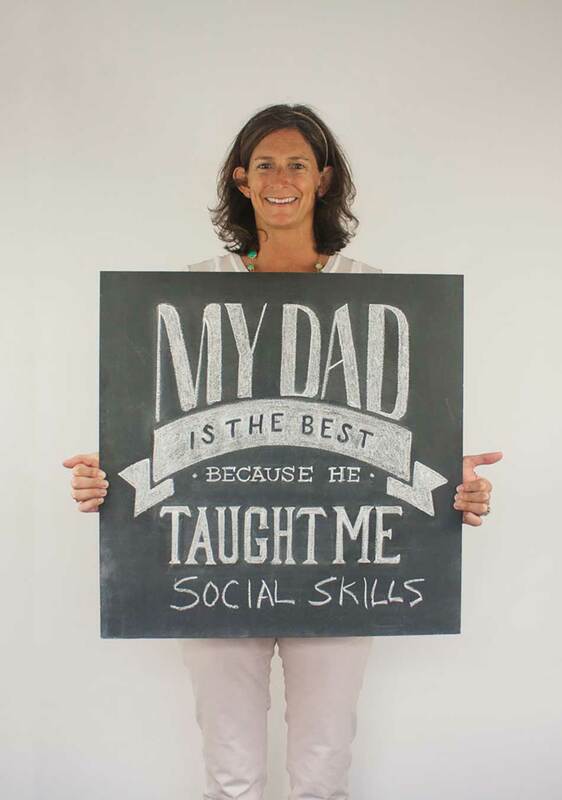 My dad is the best because he taught me social skills. Leading by example, my Dad is one of the sweetest most personable people I know. He greets everyone with a smile and makes people feel good about themselves just by interacting with them. He is a cup half-full person and therefore so am I. We both cherish our family and friends and jump at the chance to spend time with people. We have a lot of similarities including many physical features but also our personality as well – we are both Virgos. Thank you Dad for setting such a positive example for me! 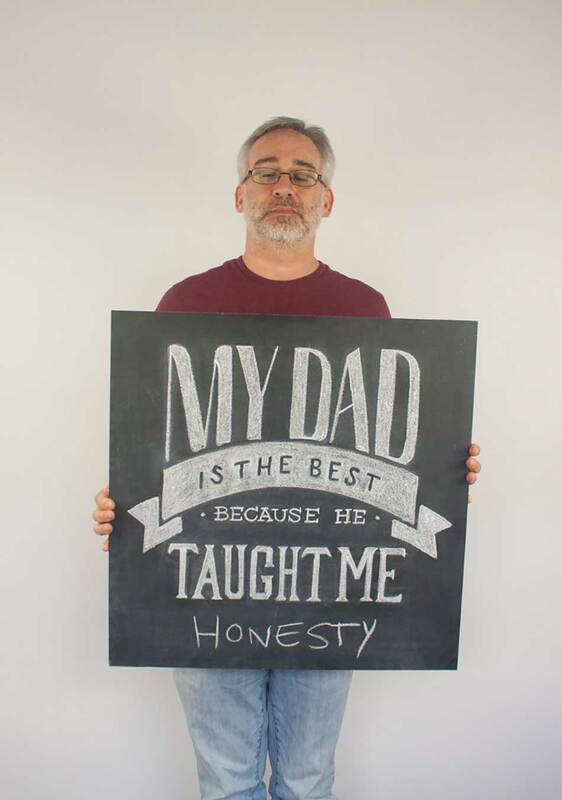 My dad is the best because he taught me honesty. He taught me it’s ok to drop a brand new air conditioner out of the attic window; but more importantly to tell the truth about it. 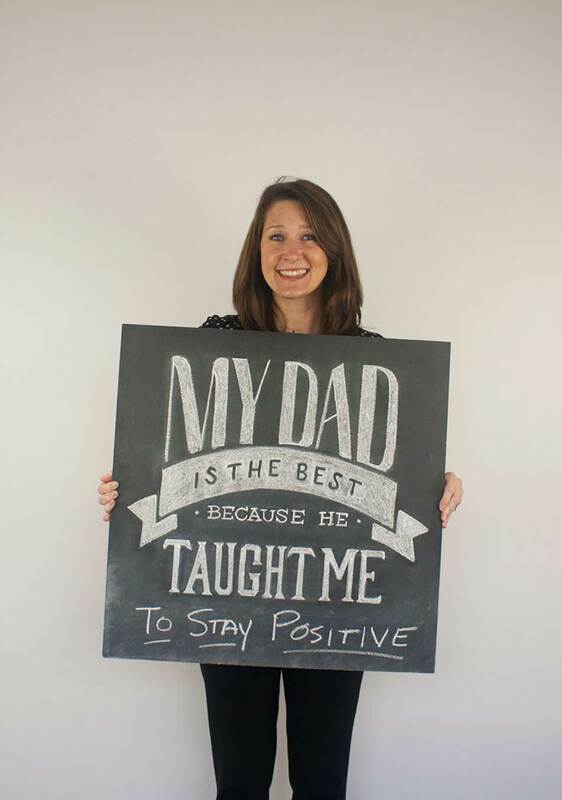 My dad is the best because he taught me to stay positive. 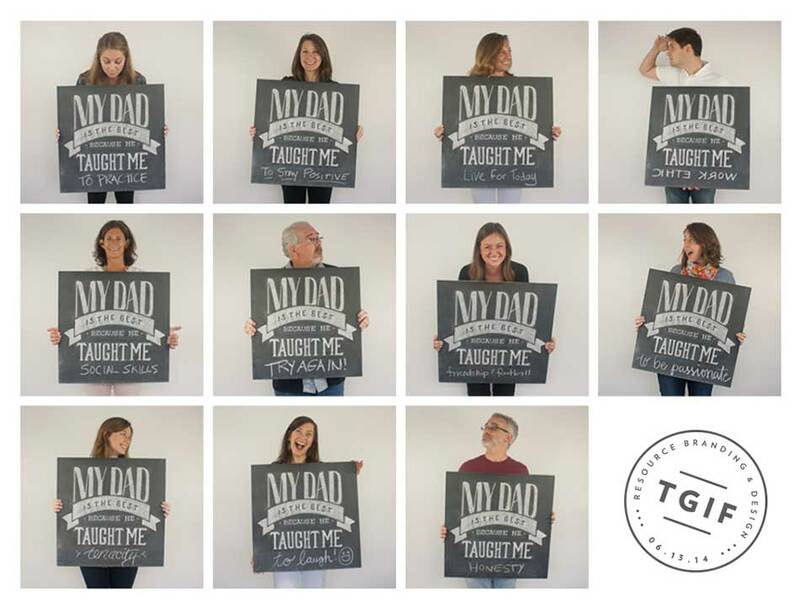 My stepfather is the steady rock of our family, and for that, I’m incredibly grateful. He approaches every situation with a can-do attitude – a true entrepreneurial spirit that has been a great influence in my life. 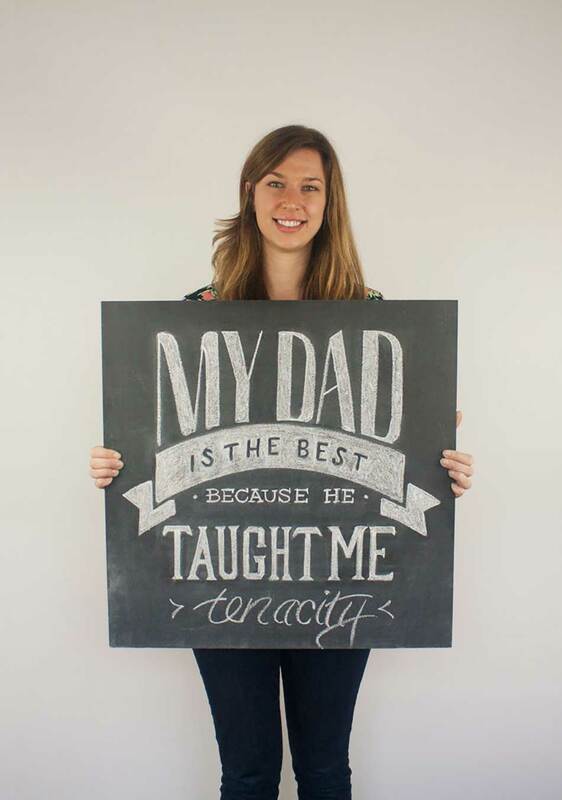 My dad is the best because he taught me tenacity. Growing up, I always remember my dad’s encouraging words to “finish what you start” and it has served me well from sports and school, to work and relationships. 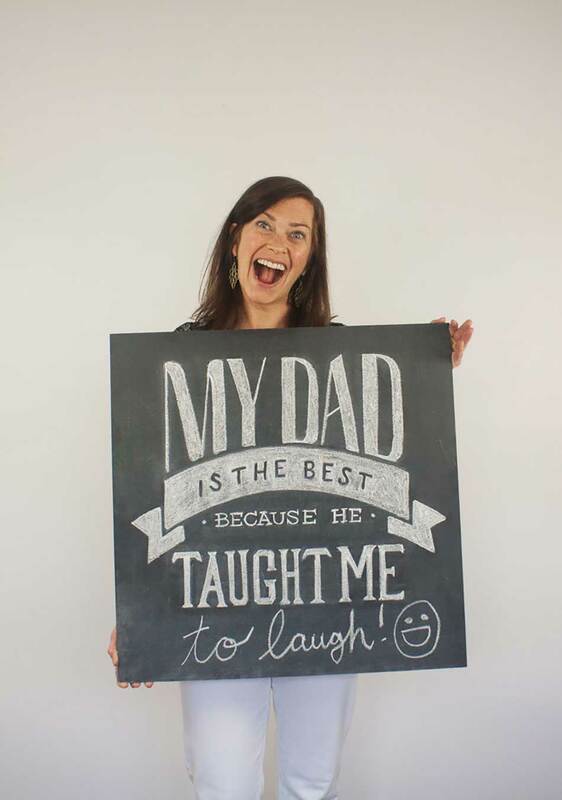 My dad is the best because he taught me to laugh. My dear ol’ dad has several calling cards, but nothing tops his signature laugh. Whether he’s on the phone, telling a story or watching TV, he’s often laughing about something – and when it *really* kicks in, his laughter is hysterically contagious! Whenever I start to sweat the small stuff, I think of my dad yucking it up and laugh it off instead. My dad is the best because he taught me to always live in the moment. He never wants to waste time, arguing over anything silly, it was always “ok lets not argue lets just move on and be happy” is a quote we would hear a lot growing up. Since he was the only male in the house it was usually his opinion or movie choice that took the back seat. That never stopped him from having a smile on his face or cracking jokes in everything he would do. We may refer to him as the IML (International Man of Leisure) but he works hard to be able to spend as much time as possible doing what he loves; Friends, Family and of course Fishing. Life can change in a second as he has learned first hand, but you adjust and keep having fun there’s no need to dwell on the negative. 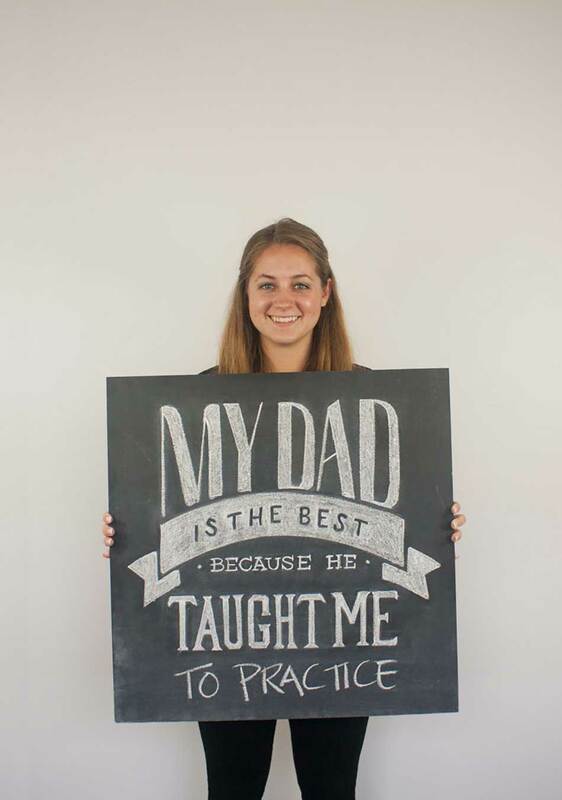 My dad is the best because he taught me to practice. I grew up as an athlete and would complain every time my dad made me shoot free throws over and over in an empty gym, try for a three spin right after I learned a two spin in baton or chip and putt until dark, but without that push to be better I would not be the person I am today. He gave me my competitive spirit and stuck with me through everything. All of that practice carried over to how I approach my design work. The way he taught me to put in the extra effort gave me the discipline to work harder and go the extra mile to achieve my goals. 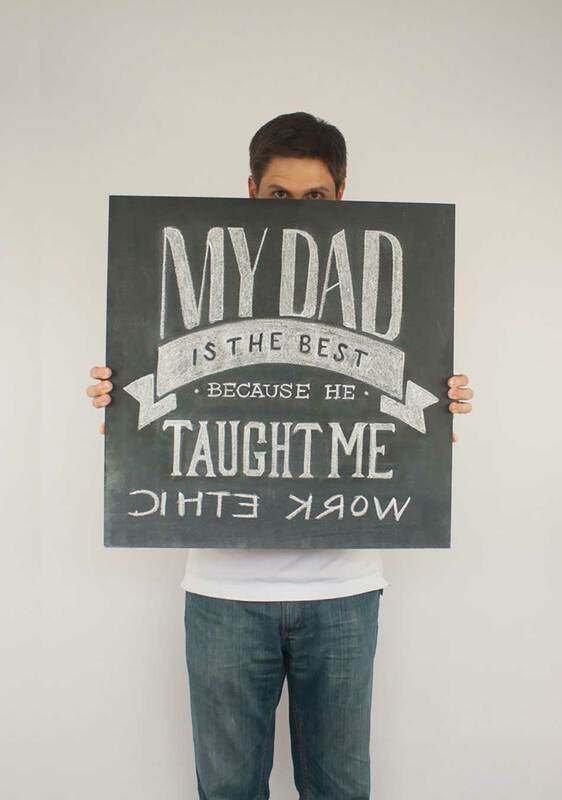 I would not be the person I am today without my dad pushing me every step of the way. Love you, Dad! 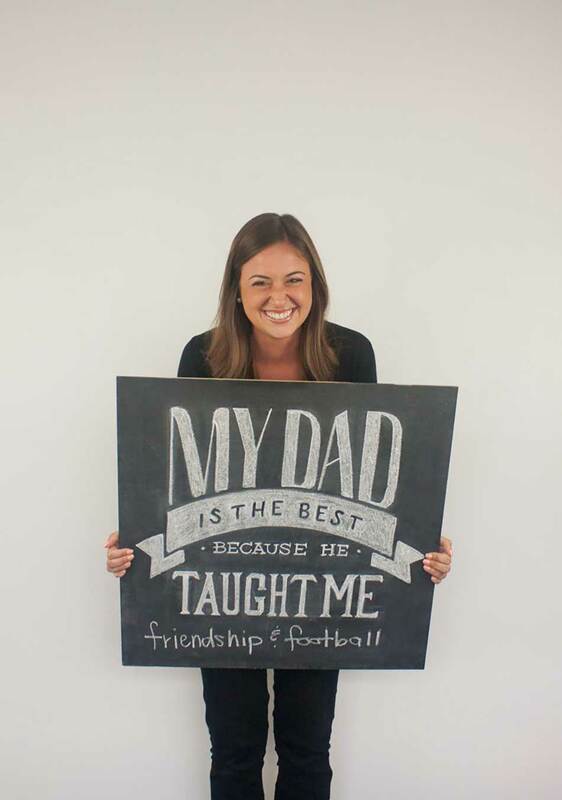 My dad is the best because he taught me friendship & football. For as long as I can remember, my dad has always taught me the importance of friendship. 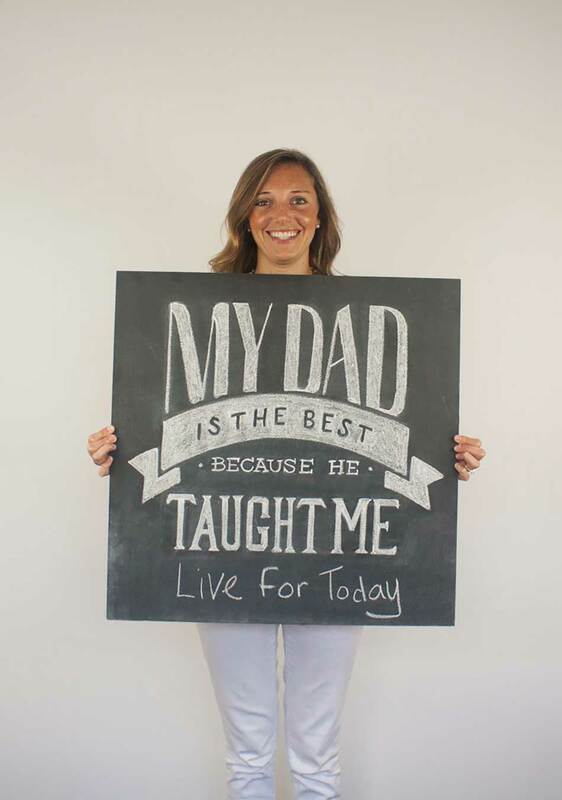 Along the way, he realized I was a bit of a tomboy at times, and took that opportunity to also teach me the importance of football. Through lessons on friendship and football, my dad and I have formed an unbreakable bond. Together we’ve visited numerous football stadiums, watched 8 NFL teams in person, and attended more Auburn football games that I can count. 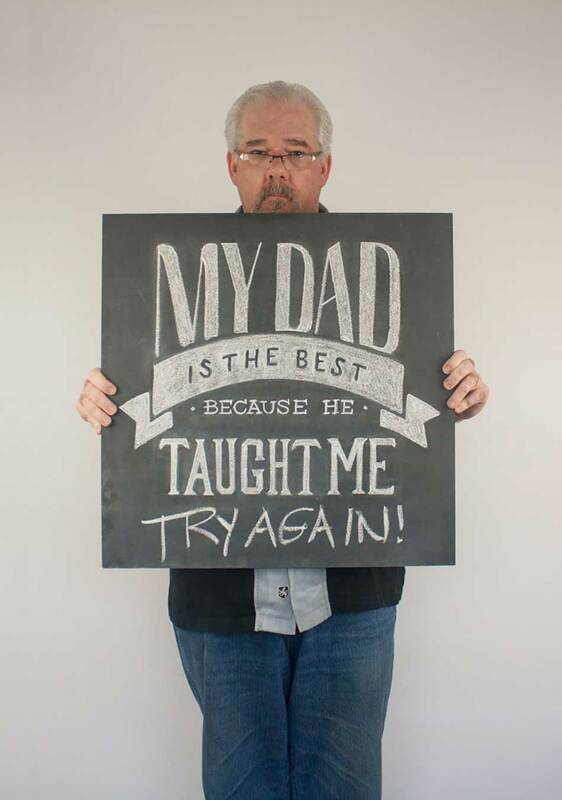 My dad is the best because he taught me try again. My dad grew up on a working farm in deep south Georgia. He was the youngest of five children, each of which were regarded as necessary farmhands (sons and daughters both) from an early age. So, while other kids were enjoying social opportunities or practicing sports, etc. at school, my dad was often working his way down a row of tobacco in a sweltering field. I believe this is why my father was always so open to his own children trying new things, and encouraged us to succeed throughout the inevitable rough spots and failures. Whether we were learning/failing to ride bikes, playing sports, or struggling with Chemistry his usual steady response was “That’s ok. You can do it. Try it again”. During my sophomore year in college I came home for Christmas break and announced, “I want to major in Graphic Design”. My dad paused a moment, looked at me and said, “I think you should try it”. And when I’ve hit a rough patch over the course of my career I can always hear that quiet voice in my mind saying, “that’s ok, try it again”. 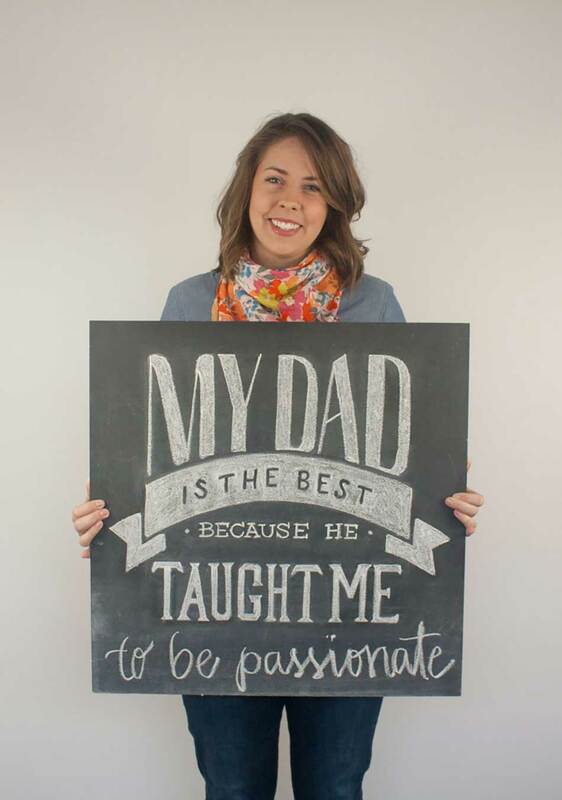 My dad is the best because he taught me to be passionate. I grew up watching him love his work and pursue it with great passion. “‘Can’t’ is not in your vocabulary,” he would tell me. I’ve gone after the thing that makes me come alive because I know what it looks like to love what you do and do what you love.